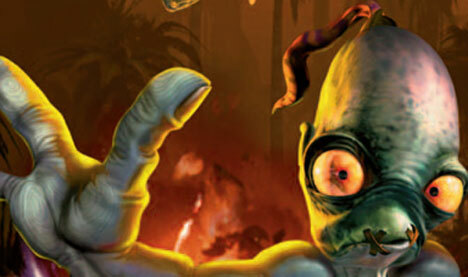 Read our full Oddworld: New ‘n’ Tasty review. Oddworld Inhabitants came very close to being a household name in the video game world. It’s a studio with a signature style as recognized as Rockstar Games. It’s first two games Oddworld: Abe’s Odyssey and Oddworld: Abe’s Exodus sold more than 2 million copies (major sales at the time) on the PlayStation back at the end of ‘90s, and that’s not counting PC sales. It never came to pass, however, and after a decade of botched exclusivity deals, canceled projects, and sour grapes, Oddworld mostly just disappeared. But after a couple of promising HD re-masters, the studio is back and banking on the PlayStation 4 for its future. What’s most surprising though, is that Oddworld not only isn’t preparing future games for the Next Xbox, it doesn’t even know any details about the console. How things change. Oddworld’s downward spiral last decade was in part caused by the company’s shift away from developing for PlayStation and PCs to focus exclusively on Xbox, starting with the Xbox launch title Munch’s Odyssey. According to co-founder Lorne Lanning, this was because the PlayStation 2 wasn’t a capable enough system for what the studio wanted to make. This partnership with Microsoft ended when the next game came out in 2005, Stranger’s Wrath, which was published by Electronic Arts. When the game failed to find an audience—Lanning said that EA “sabotaged” the release—Oddworld was set to close as a games studio. The studio was reborn in 2010 when studio Just Add Water approached Lanning about making an HD re-master of Oddworld: Stranger’s Wrath, which turned out excellent. It’s no surprise that Oddworld Inhabitants isn’t actively seeking a new partnership with Microsoft on the Next Xbox. In addition to the bad blood left over from the beginning of the ‘00s, Just Add Water went through a miserable process trying to get Oddworld: Stranger’s Wrath on Xbox 360, even after Microsoft approached the studio to make the game.